Working German Shepherd Dogs - "120 Shepherd!" For some reason it seems to always be "120 pounds". I hear it all the time. People tell me they had/have/want a 120 Pound German Shepherd Dog. For some reason, people, and even some GSD "breeders", want you to believe that they had or have (usually had) a German Shepherd Dog that weighed in at 120 Pounds. I don't like to call people liars, but while you are at your Veterinarian's Office next time, ask them, the people that weigh in all animals that visit...."How many 120 Pound Pure Bred German Shepherd Dogs have been weighed in here?" The German Shepherd Dog Standard for the Breed, Most Printed, do/es not have weight listed. The Standard for the Breed has heights. German Shepherd Dogs BRED and Raised and Fed Properly, will weigh between 50 and 90 Pounds. A 120 pound GSD, that was not fat, would stand about 36" - 40" high at the Withers. Even most GSD over 80 pounds ARE OVERWEIGHT! FAT, NOT BIG BONED! Do you have any idea what a 120 Pound German Shepherd would look like? Most. Very Very Fat! Others, would look a lot like a Shiloh Shepherd. What is a Shiloh Shepherd? The Shiloh Shepherd is a Breed of Dog that was Developed using German Shepherd Dogs and Alaskan Malamutes. Very Large, Oversized, Long Haired, Dogs went into these breedings. The Real Thing, Shiloh Shepherd, is hard to find and can come with a "Boat Load" of Health, Temperament and Development Problems. Worse, the folks that breed a GSD to a Mal and SAY they have "Shiloh Shepherd Pups"....or one in the same. 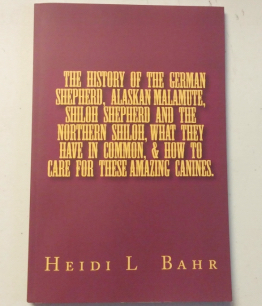 The gal that developed the Shiloh Shepherds, now gone, worked for GENERATIONS to develop the breed correctly. Other people, through the years, have just stolen the name of the Breed and ran with it to make 'a quick buck'. 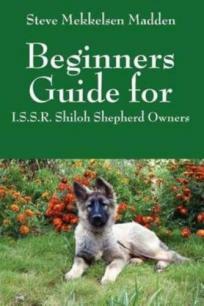 If you are thinking about a Shiloh Shepherd you should know several things....One, they are NOT recognized by Any of the Reputable Large Kennel Clubs, such as the AKC, or UKC. Be sure to do a LOT of Research. See the parents, grandparents, great grandparents, and great great great grandparents of the dog you want to buy....otherwise you will/could surely end up with a dog that looks NOTHING like you were hoping for or led to believe you would have when grown. There ARE Reputable Shiloh Shepherd Breeders....but like Unicorns, not that easy to find. Know what you are looking for before you decide on buying. Check out the Breeder of the Shiloh Shepherds as much as you check out the dogs or you will/could surely end up with a dog that looks NOTHING like you were led to believe. Make sure the breeder is "Breeding True". Breeding True? Every puppy looks like the Standard of the Breed. Every Puppy LOOKS like it is suppose to look like. Why do some Breeder of GSD say their dogs are 120 pounds? Because they want to impress new, unknowing, buyers. 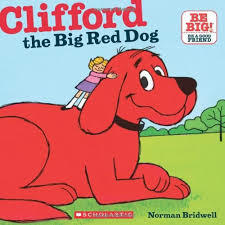 They want you to be impressed that they had GREAT BIG Tough Dogs. If you run into one of these breeders....ask to see the papers from the Veterinarian that not only has printed 120 pounds, but say the dog is healthy. Ask to see the GSD that weighs 120, it should be the size of a Saint Bernard. Really. About the size of a Saint or Newfoundland. Then ask to see the Hip X-Rays of said dog. Reputable German Shepherd Dog Breeders are PROUD that their dogs, especially the ones they are breeding, that is their puppies, are within the Standard of the Breed. AND THAT INCLUDES THE CORRECT SIZE! German Shepherd Dogs are build as they were bred, so that they can and do, perform many types of WORKING DOG JOBS. They were developed into a breed to look as they do for a reason...AN AGILE WORKING DOG! My question is....if a GSD Breeder lies and tells you that their dogs are 120 pounds....what else are they lying about? The bottom line is.... I want to believe that people that say they had/have a "120 Pound Shepherd" say that because in their minds, in their mind eye, their dog was/is Bigger Than Life to THEM, maybe they were a child when they had that dog and it seemed SO BIG.....and how can that be a bad thing?